Online registration is now closed. Walk-ins are welcome at the door! Registration is now open for the 7th Annual Public Values Symposium, hosted by the University of Missouri St. Louis and FOCUS St. Louis, with support from St. Louis Public Radio and HEC Media. Join Keynote Speaker William Kristol, founder and editor at large of The Weekly Standard, and Keynote Respondent Sarah Kendzior, journalist and author of The View from Flyover Country, for a hard-hitting discussion on Media and Change Agency in a Divided Nation. These two political media giants from opposite ends of the political spectrum will conduct a joint Q & A session after their keynotes. How does change-making transcend party divisions? How do we build effective and ideologically diverse coalitions? Two pairs of panelists from disparate ends of the political spectrum share their thoughts. We’ll wrap up the event with lunch and networking. Come for all or part of the day! About this year’s topic: A leader who is a “change agent” is somewhere between a revolutionary leader and a “steady-hand-at-the-helm.” Change agents seek systemic institutional transformation, but seek them through existing processes (from legislation to civil disobedience). How do change agents build power through media in today’s segmented and ideologically charged media market? How do (and should) change agents build successful coalitions across party lines? How do we most effectively fund for change amid partisan warfare? These questions and more will be discussed by speakers from every end of the political spectrum. This annual nonpartisan symposium brings together a politically diverse audience to discuss ideal political processes, values and ethics. Past keynotes have included (among others): Senator Olympia Snowe, Bernice A. King, Congressman Mickey Edwards, and Journalist/ Author Jeremy Scahill. Registration includes breakfast, lunch and admission to all sessions. Registrations are nonrefundable, but attendee substitutions are allowed. William Kristol is the founder and editor at large of The Weekly Standard and appears regularly on many leading political commentary shows. He is a major figure in many areas of American public discourse, ranging from American foreign policy to the future of the Republican Party. 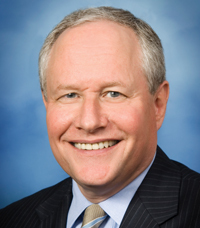 Before starting The Weekly Standard in 1995, Kristol led the Project for the Republican Future, where he helped shape the strategy that produced the 1994 Republican congressional victory. Prior to that, Kristol served as chief of staff to Vice President Dan Quayle during the first Bush Administration, and to Education Secretary William Bennett under President Reagan. Before coming to Washington in 1985, Kristol was on the faculty of Harvard University’s Kennedy School of Government and the Department of Political Science at the University of Pennsylvania. 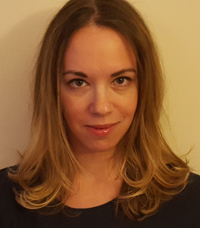 In 2015, Kendzior collected the essays she reported for Al Jazeera and published them as The View from Flyover Country, now a New York Times and MIBA bestseller.